2015 Yamaha Bolt C-Spec, SUPER CLEARANCE BLOWOUT. Great financing available. Apply online now. It only takes a few minutes... Contact for info.Don't forget to ask about our awesome maintenance & warranty programs. Added parts are not included in base price. 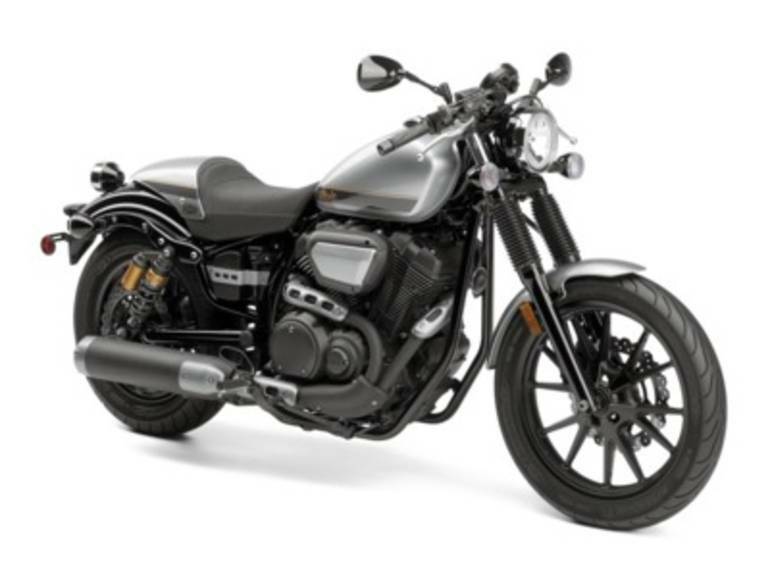 2015 Yamaha Bolt C-Spec Café Racer Style All-new, featuring minimalist design, café-racer styling, sporty clip-on handlebars and slim solo seat. Features may include: NEW FOR 2015! The Bolt C-Spec epitomizes the cool Café style popular across the globe since the 1960 s. Bolt C-spec features café styling with original Star v-twin performance and includes clip-on handlebars, traditional fork boots, a removable passenger seat cowl, and sporty café paint and graphics that makes the Bolt C-Spec ultra-cool. The compact chassis proudly showcases the enormously popular 58 cubic inch (942cc), air-cooled, 60° V-twin Bolt powerplant that has been a huge hit on the showroom. The Bolt C-Spec uses modern technology to create a riding experience superior to other similarly sized machines. Fuel injection and ignition timing maps have been set to deliver class-leading performance with strong low- and mid-range torque sure to bring a smile to every rider s face. A belt drive is used to deliver power to the back wheel resulting in an almost maintenance free final drive system that is both durable and reliable. Designers and fabricators will love the real steel fenders and belt design as they take the Bolt C-spec and fulfill the Star mantra of we build it, you make it your own . All Yamaha pictures are kind of Yamaha HD motorcycles picture was taken, including motor fuel gauge, engine, engine mounts, tires, fuel tank, the car handles, lights and so on, 2015 Yamaha Bolt C-Spec full-screen viewing,2015 Yamaha Motorcycles today Price: $6,499 .